This work was painted in 1924 when Lowry was thirty seven years old. The decor, the surroundings and the clothes may have changed over the years, but we can still see the same scenes today as three girls make their way home after a night'clubbing'. 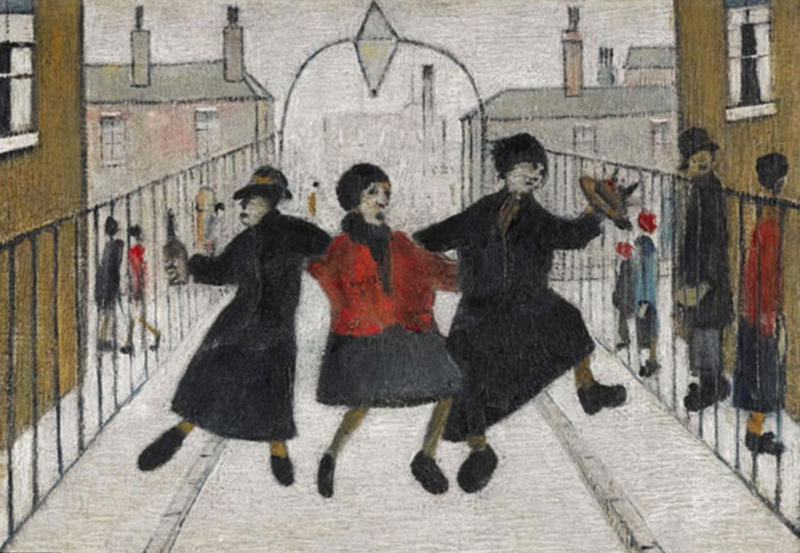 This painting has not been seen before and is expected to sell for around £ 600000, however, recently many of Lowry's paintings achieving several times the estimate. So it can be anticipated that this painting will be sold for well in excess of one million pounds. The scene is probably of no specific area, but a generalisation by Lowry of an event that he saw.